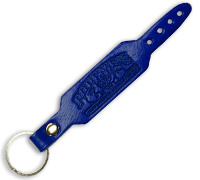 The Popeye's Supplements Leather Weightlifting Belt Keychain is made from genuine American leather. Emblazoned with the Popeye's Supplements logo! Measures 5" wide (14cm). 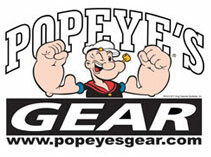 This is Certified Authentic Popeye's Gear. Using it daily will result in you being Strong To The Finish! ...Individual results may vary.